Christy Lane is a National Educator, Presenter and Producer of live shows and award winning DVD’s, music and books. Her work has been recognized by U.S. News and World Report, Washington Post, American Fitness, USA Today and Shape Magazine as she continues to share her message of wellness through movement. A member of the American Alliance of Health, Physical Education, Recreation and Dance, and the International Dance and Exercise Association, Christy stays in constant contact with educators, musicians and dancers to keep her up on the latest trends. Her successful Dare to Dance School Assembly Program has taught over 2 million students how to dance. Her teacher workshops have proudly launched over 300 new dance programs and her corporate shows and events have delighted thousands. She currently serves on the Executive Board of the National Dance Foundation. Christy enjoys the process of bringing artists together to create new music, DVD’s and books. Thank you for making Seafirst’s Weekend at the Couer d’ Alene Resort such a success. As always, there were early rumors going into the party that a few participants wouldn’t be caught dead dancing in front of their superiors. However, those feelings were quickly dispelled by your infectious energy and enthusiasm. Your easy and motivational teaching style left the tables empty and the dance floor bursting with happy energy. 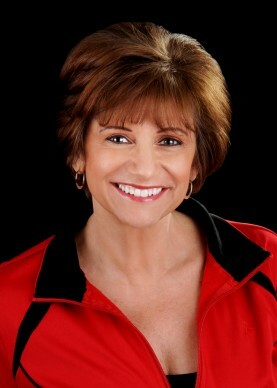 “I have been a Health and PE teacher for 25 years, owner of a gymnastics school and NETA Certified Personal Trainer. Years ago you were the entertainment for a Pa. State HPER Convention at Seven Springs Resort and I thought you were the greatest. We had so much fun that night and it was your enthusiasm and professionalism that made all the difference. Absolutely amazing! Even the most self-conscious attendee couldn’t resist. I was thrilled to see so many of our members involved. A lot of people really got to know each other that night because of this event. Let’s do it again next year! On behalf of Marketing Specialists and our guests, we would like to thank you for your show at the Westin Mission Hills Resort. Your performance was outstanding and the crowd is still talking about your presentation. The energy and involvement that you initiated really helped put the “icing on the cake” at this event. Your energy filled that ballroom with such joy. I can’t find the words to express how much we appreciate your role in making the AAHPERD National Convention a night to remember. Just wanted to write a short note to let you know how much I love using the Square Dancing Today CD, I teach a skills and instruction class for recreational dance to physical education majors and minors at Western Michigan University in Kalamazoo, Michigan. I use your instructional CD’s to teach the dances to my students and they then have the skills and confidence necessary to go into the public schools and teach developmentally appropriate rhythmic movement including Square Dancing during their practicum teaching and intern teaching experiences. The verbal cues and instructions are excellent and easy to decipher and the music is up beat and interesting. Thank you for providing great teaching tools to beginning physical educators and seasoned physical educators. Please keep up the good work! !